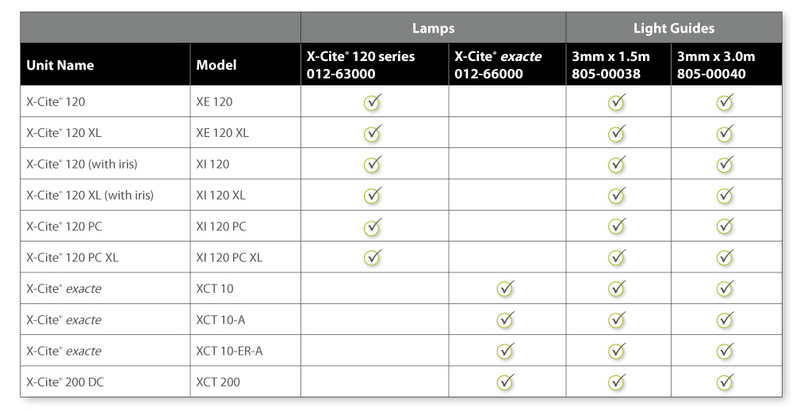 Most X-Cite® illuminators connect to your microscope via a liquid light guide and a coupling adaptor. The light guides have a core diameter of 3mm, and are available in either 1500mm or 3000mm lengths. What do light guide bubbles look like? X-Cite output not as bright as it used to be and changing lamps doesn’t quite help? You might have an air bubble in your liquid light guide (LLG). How do you check? Depending on the size and location in the light guide, a bubble may or may not be obvious. 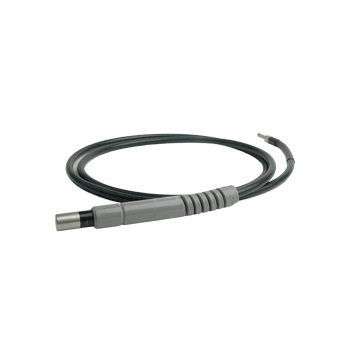 Disconnect the LLG from the X-Cite and microscope adapter. Hold one end towards a bright window or overhead room light – DO NOT use an X-Cite or any other focused light source for this test! Look at the quartz at the other end of the LLG. 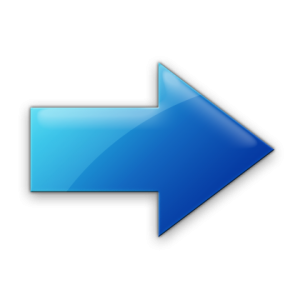 Bubble-free: quartz end will appear as a bright, solid circle; you may also be able to see a thin circular outline at the quartz/liquid interface. 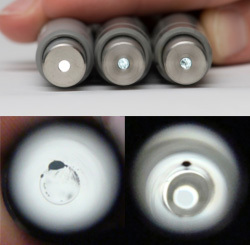 Bubbles at/near the quartz end: appear as dark spots, as small as 0.5mm in diameter or even as larger more defined spheres. Bubbles in the middle of the light guide: may not be well-defined spots, but will appear as dark shadows. In extreme cases, where the bubble is blocking the entire diameter of the light guide, no light will come through, even when pointing the distal end at a light source. Liquid light guides universally are exposed to ultra-violet light which causes slow degradation in transmission properties. It is always a good idea to check your light guide if you notice a lower signal than normal (provided you have appropriate control slides). For more details on this and other helpful tips, download the X-Cite Maintenance Guide below.